The province of Iloilo is more than just a place with lofty mountains, blinding-white sandbars, cerulean waters, amazing people, and rich culture. If you’re one who is on a constant search for something new and unique for your palate, then Iloilo is the place to go! Their dishes are unequaled in taste and richness. 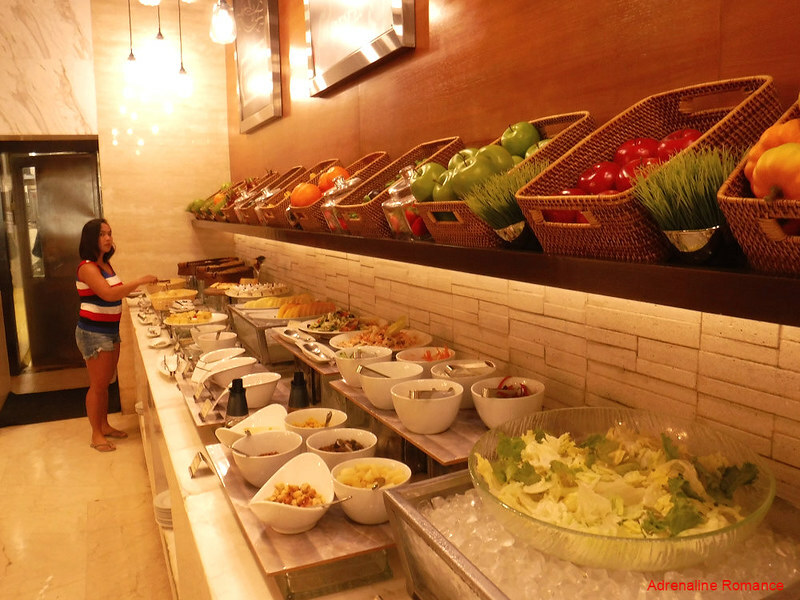 In fact, you can actually “feel” the Ilonggo history and culture with each bite. 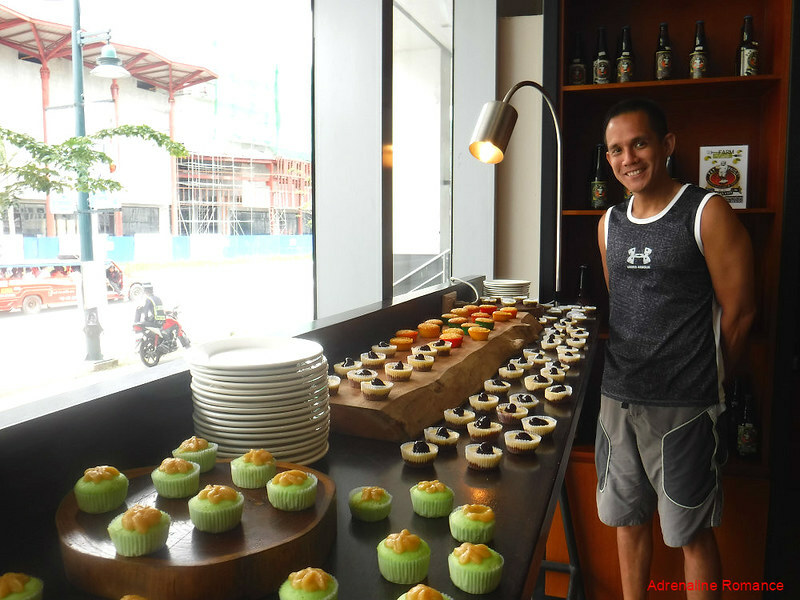 During our stay in the Iloilo Business Park with Megaworld, Greg took us to a gourmet tour that left our taste buds wanting for more! 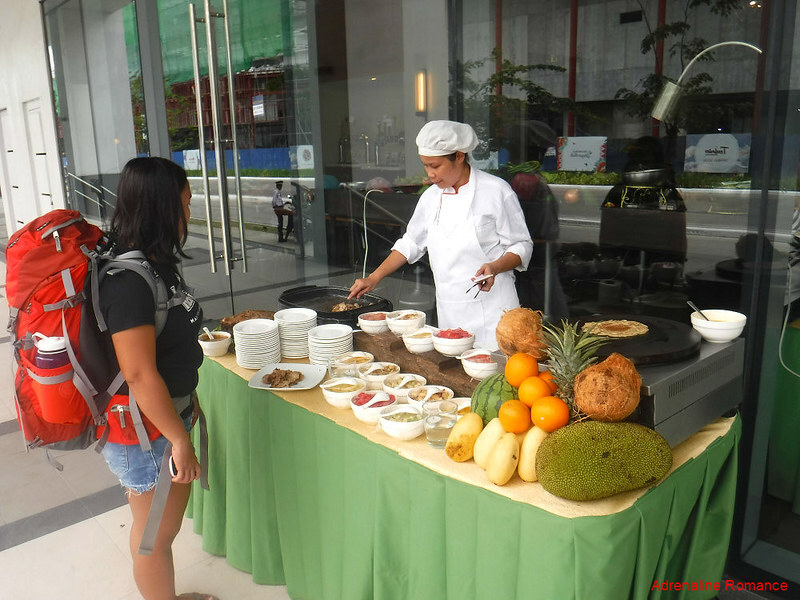 Our first taste of Iloilo’s mouthwatering specialties happened early, just three hours after sunrise. 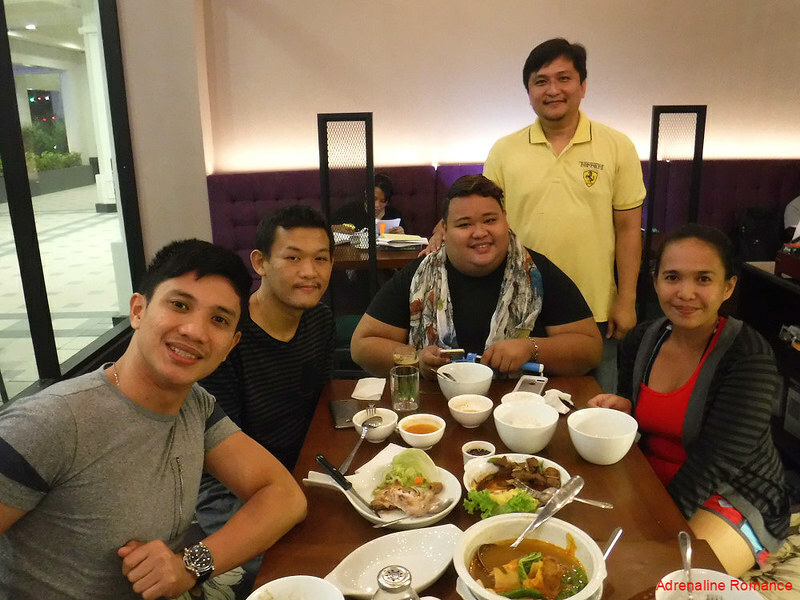 Greg, our friendly contact and Megaworld’s PR and Online Influencers Manager, took us to Ted’s Oldtimer Lapaz Batchoy. This is one of Iloilo’s oldest and most popular food establishments. And good news to all late-night owls, it’s open 24 hours a day! Sweetie and I have always been egg lovers, but we decided to try something new. No eggs this time! Just that sumptuous Lapaz batchoy, the signature dish of the restaurant. 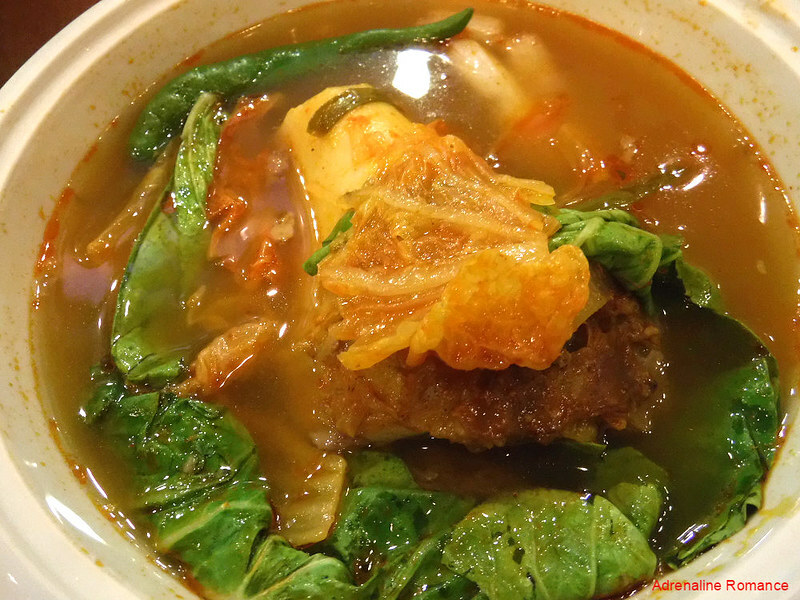 This is a hot and spicy noodle soup made with slices of pork liver, spleen, and other organs. Crushed pork cracklings, shrimp, spring onions, and often, a slice of boiled egg, are added. Yes, it’s a complete meal in itself. A bowl of piping-hot batchoy is an ideal warmer for cold or rainy days (or nights). 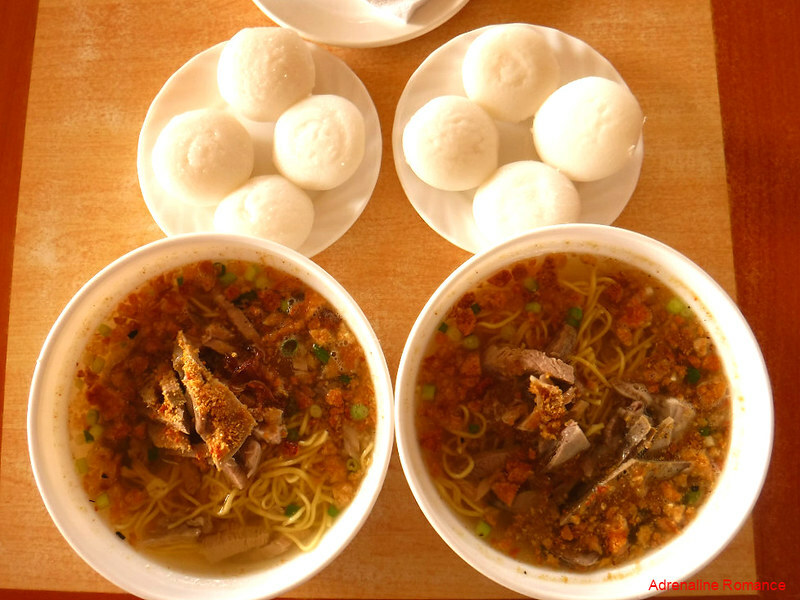 Traditionally, diners pair pieces of puto (rice cakes) with their batchoy. 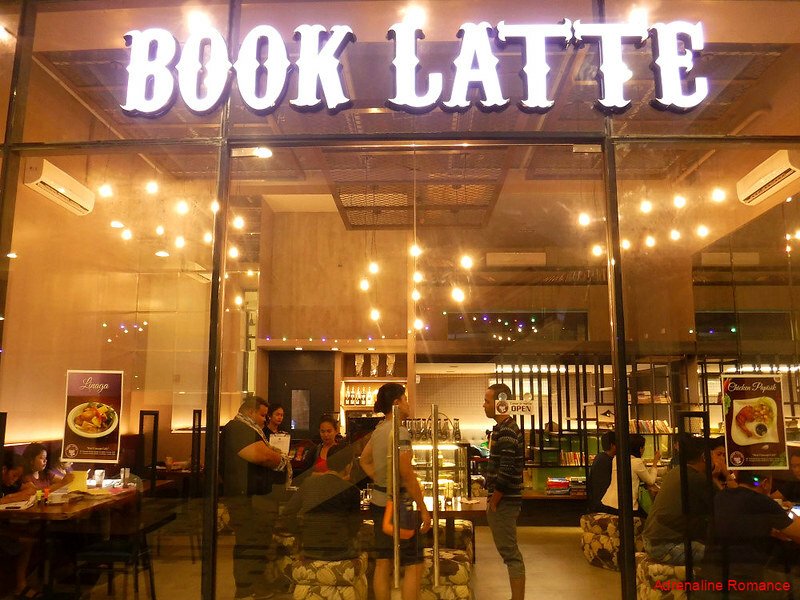 After our island hopping trip in Concepcion, we headed straight to our dinner venue, a cool place named Book Latte. This bistro is located in Iloilo Business Park’s Festive Walk, which is the commercial component of the Megaworld township. Book Latte has won two consecutive National Product Quality Excellence Awards in 2015 and 2016. Waiting for us were some of Iloilo’s top food, lifestyle, and travel bloggers, including Greg as he is also a food blogger. Book Latte Chef Red Zamora (the guy in yellow shirt) joined us as he prepared their signature dishes for us to try. Cristina Estorque, the chic and beautiful owner of the bistro, is a bibliophile. 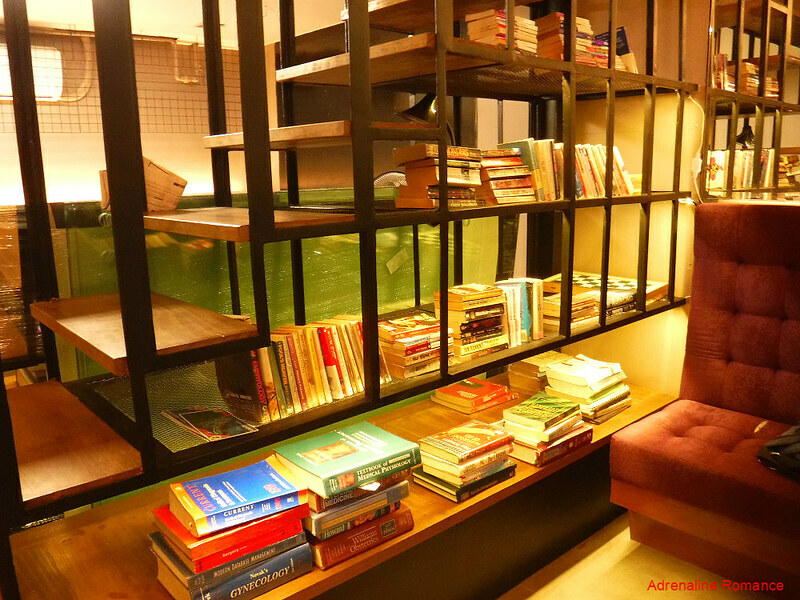 She wanted to establish a coffee shop with a library where people would love to study while enjoying sumptuous meals. Book Latte is the embodiment of that dream. We love soups, and this one was one of the best soups we’ve ever tasted. This is kansi, or bone marrow soup, stewed with bone marrow, cabbage, tomatoes, and other spices. But what made this kansi different from traditional ones was that Chef Red added a dash of kimchi, a Korean side dish made of fermented and pickled vegetables. The result was a delightfully sour soup that tickled our taste buds. The pinisikan chicken was another tasty dish of Book Latte. The chicken is dry-rubbed with sea salt, pepper, and other herbs and spices. It is worthy to note that the salt used in the rub is not your supermarket or iodized variety. It is harvested directly from the salt fields around Iloilo, thus it has a milder saltiness. 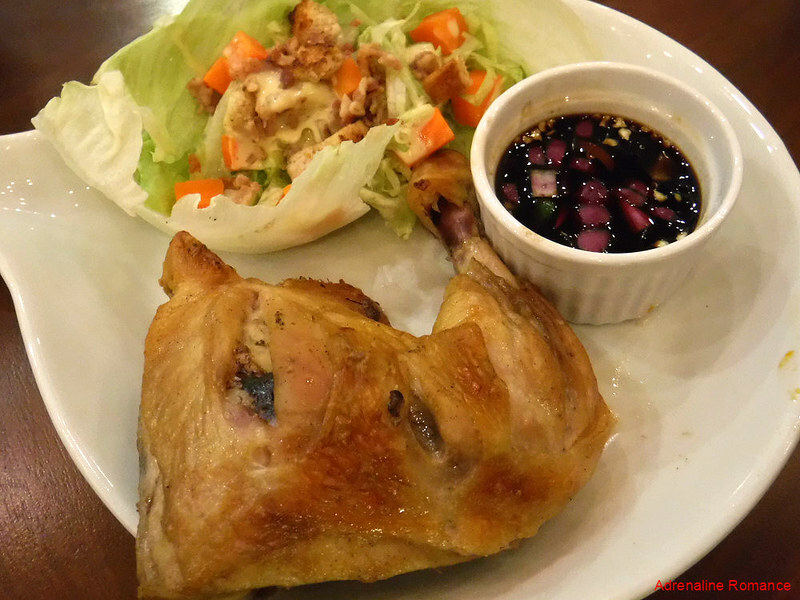 The chicken is quickly baked to release the juice then deep fried to preserve its crispiness. Delicious is too low a word to describe its taste. Chef Red also served us these sumptuous beef dishes. The top one is the familiar Filipino bistek, cooked to perfection. 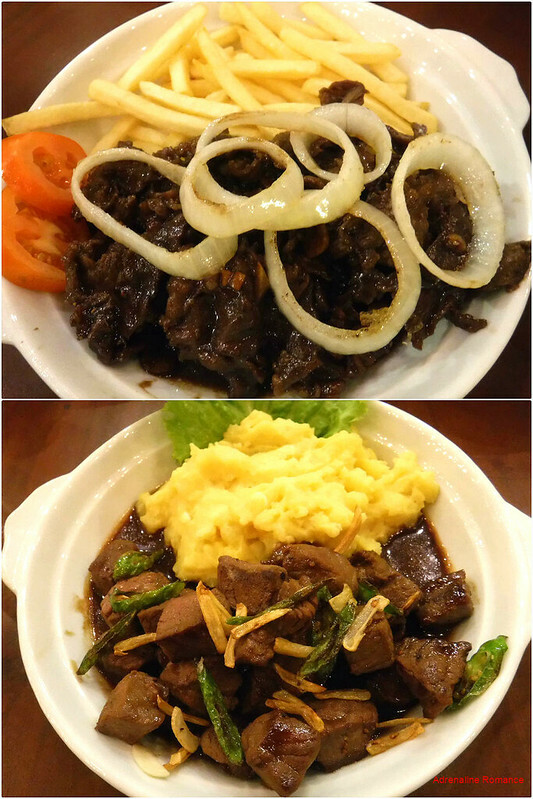 The lower one is Sweetie’s favorite, Beef Salpicao. It’s a brisket made of beef cubes that have been boiled for 8 hours to soften them. It is then stewed together with okra, onions, nuts, and other ingredients. The meat melts in your mouth, we swear! 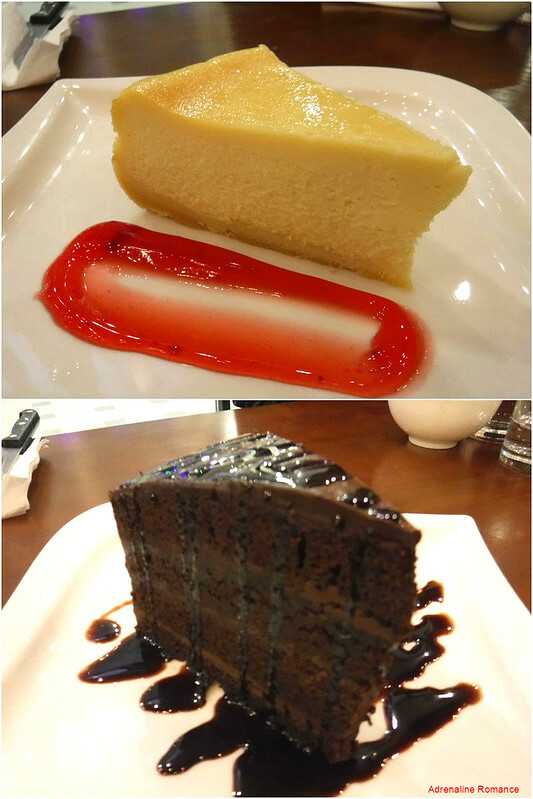 For our dessert, we tasted the creamiest cheesecake and chocolate cake ever! The cheesecake has an interesting taste when we dabbed it with a bit of strawberry jam. It’s absolutely divine! 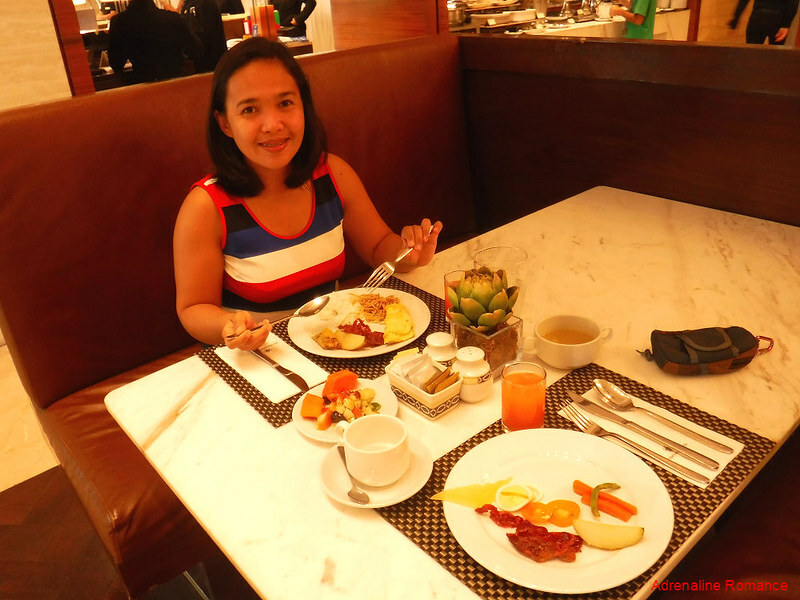 For the next two days, we ate our breakfasts in The Granary, the in-house restaurant of Richmonde Hotel where we stayed. Fashionably decorated and modestly classy, it has a somewhat sophisticated and business-like atmosphere. That is not a surprise considering that Richmonde Hotel is mainly a business hotel. 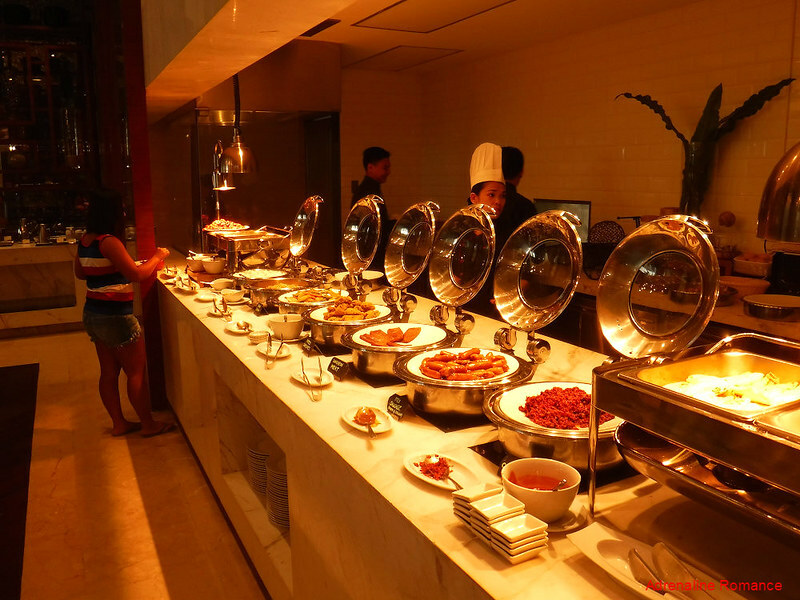 Breakfast is served in a buffet setting, but à la carte servings are also available. Here’s an entire counter of fresh veggies, fruits, cheeses, and yogurts. Perfect for those who want it the healthy way. Hehehe! Sweetie and I returned to the buffet counter for multiple servings each time; we probably returned four times per morning, not counting the desserts and coffee. Hehehe! Greg knew how hungry and tired we were after our climb up Mt. Napulak on our second day. 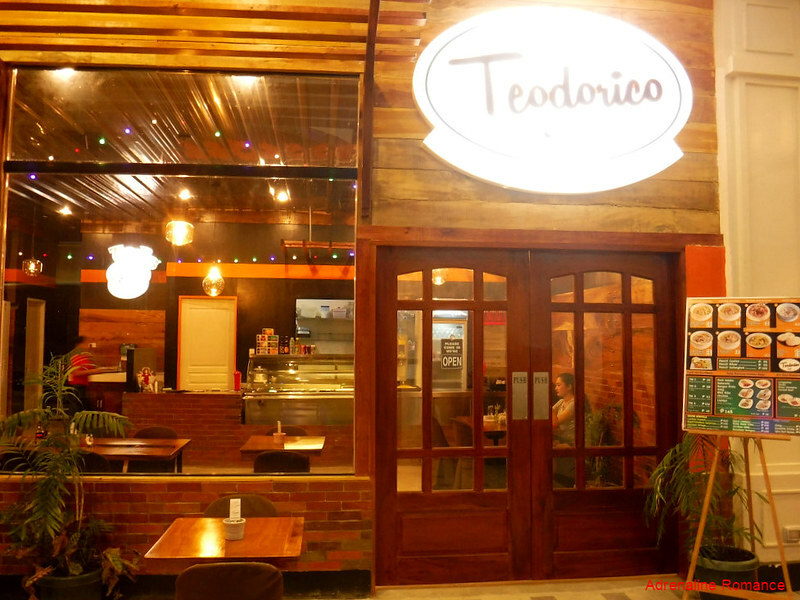 Thus, after we showered and changed into clean clothes back in our hotel, he invited us to Teodorico, another restaurant in Festival Walk. 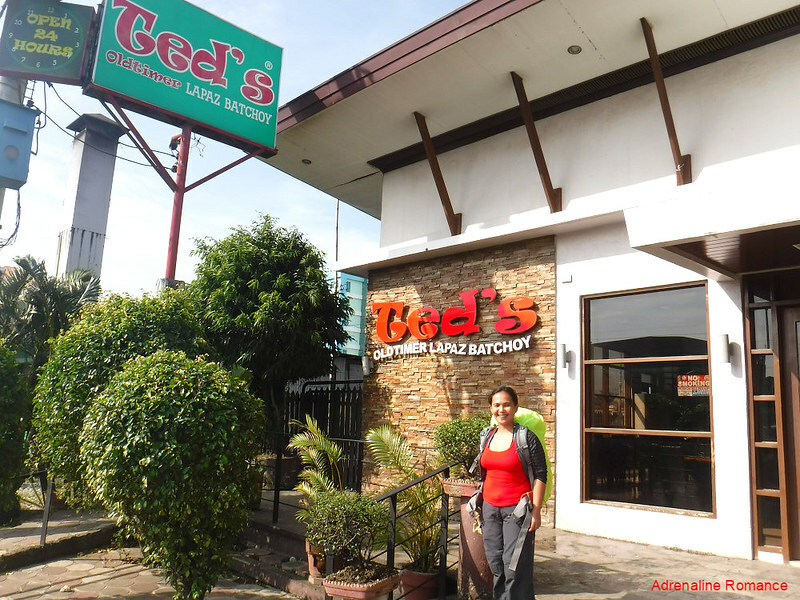 Teodorico is a budget-friendly restaurant owned by the proprietor of Ted’s Oldtimer Lapaz Batchoy. But don’t let the low prices in their menu fool you. That’s because they serve some of the best-tasting traditional dishes we’ve ever tried. 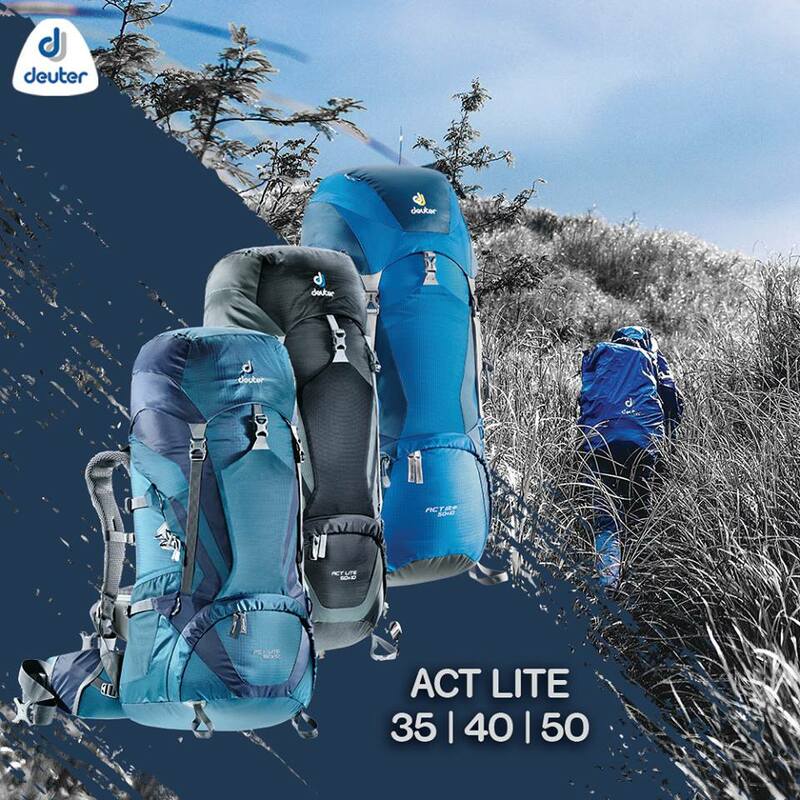 Let’s check them out. 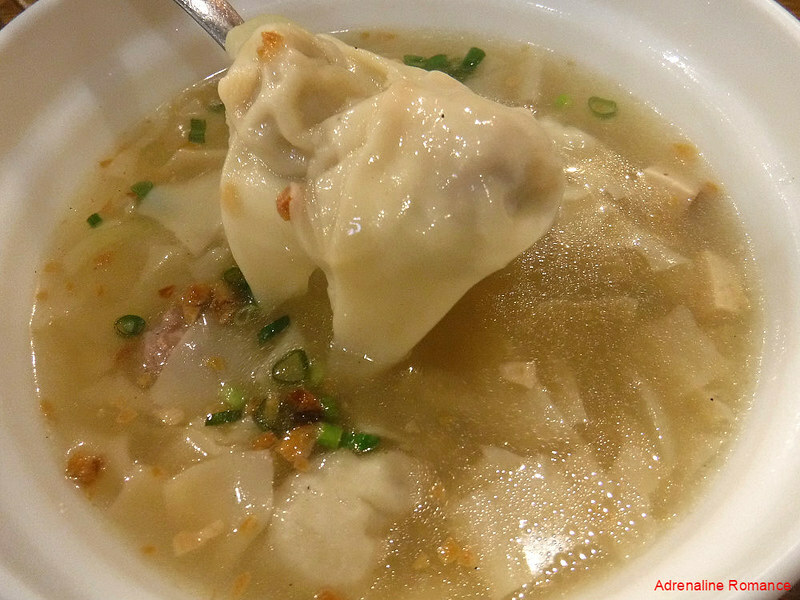 For our appetizer, we ordered pancit molo, a soup that originated in Iloilo’s Molo district (thus the name). It is made up of chunky pork dumplings, shredded chicken meat, and shrimp. Simmering stock is then poured over the mixture. Finally, the entire assembly is garnished with fried garlic bits and minced green onions. Mmmmmmm! 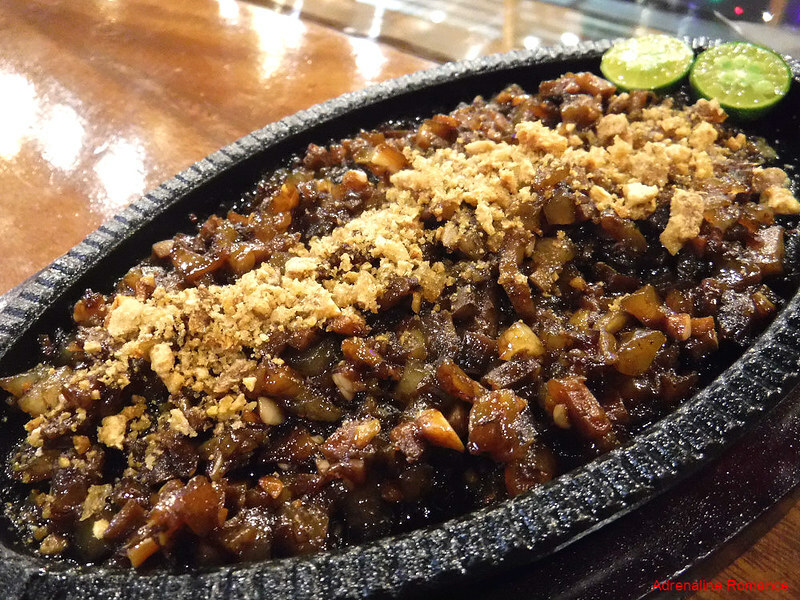 This is perhaps one of the chunkiest and sauciest pork sisig we’ve ever tried. Made up of finely chopped liver and meat from a pig’s head. The meat is then boiled to tenderize it before it is grilled in a sizzling plate. Kalamansi, chilly peppers, crushed peanuts are used as garnish. Finally, a thick sauce is poured over the hot plate, creating a satisfying sizzling sound. Sisig goes very well with a mug of ice-cold beer. Everybody loves nibbling on chicken wings! We wolfed down a serving of chicken wings encrusted with Parmesan cheese and garlic. 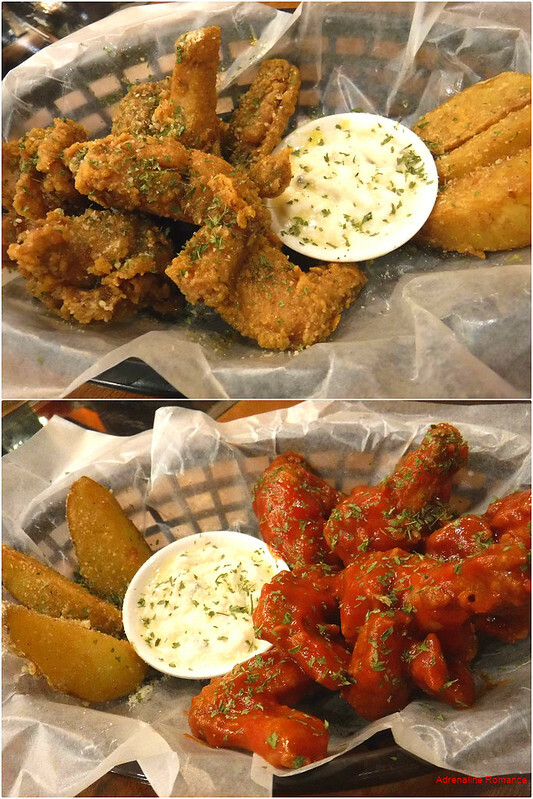 When that was not enough, we ordered buffalo wings, covered with a thick, spicy sauce. 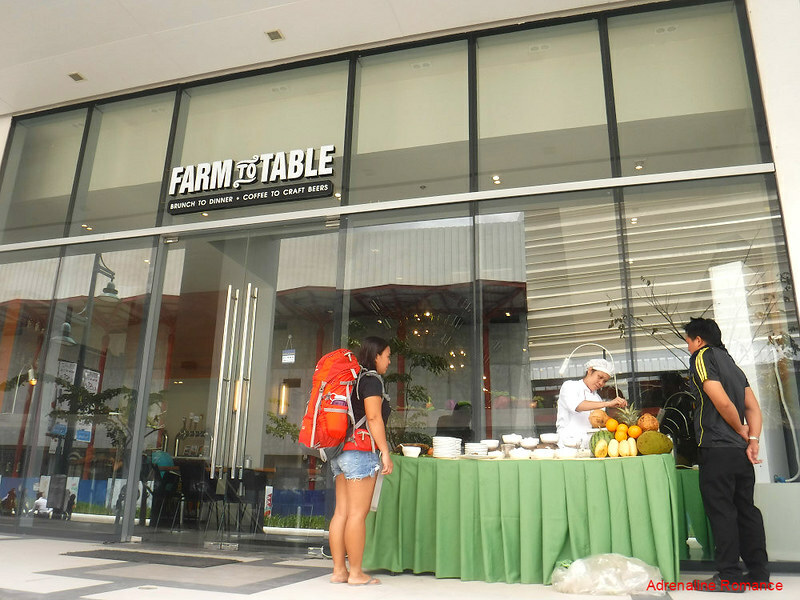 For lunch on our last day in IBP, we ate in a chic lifestyle restaurant called Farm to Table. It is just a short walk from The Richmonde Hotel. It has been quite sometime since I tasted roast beef. This establishment serves the juiciest and most tend roast beef I’ve ever had. Sweetie, on the other hand, was eyeing on some fresh pan-cooked crepes. Farm to Table serves brunch, lunch, and dinner. They serve their food either buffet or à la carte style. We opted for the former—thank you, Greg! This lunch was part of Greg’s birthday celebration. Happy Birthday, Greg! 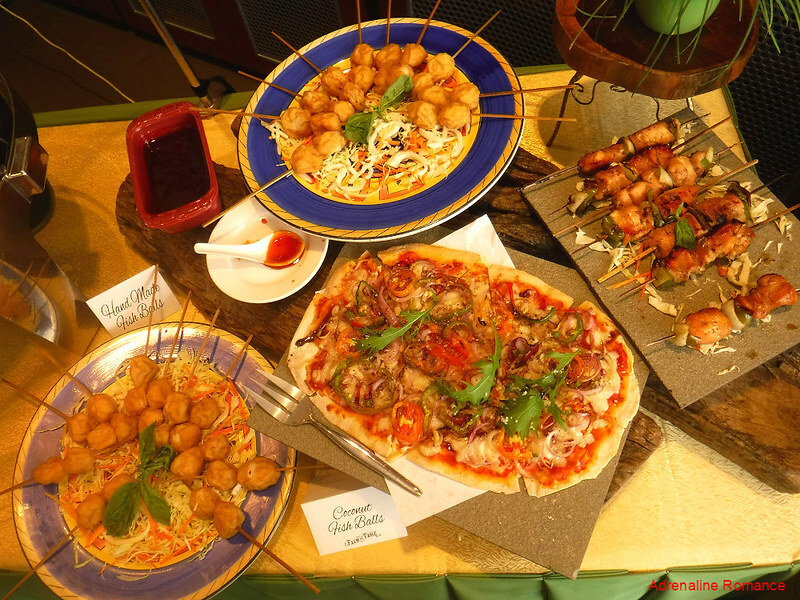 Handmade fish balls, coconut fish balls, tempura, vegetarian pizza, lemon chicken—-they’re all yummy! True to its name, Farm to Table uses local, seasonal, and fresh ingredients in the dishes they serve daily. Thus, diners are assured of healthy, delicious, and top-quality meals. Mmmmm! Look at all those desserts! These go very well with tea and coffee. One of the top-selling products of Farm to Table are these locally crafted beers and ales. 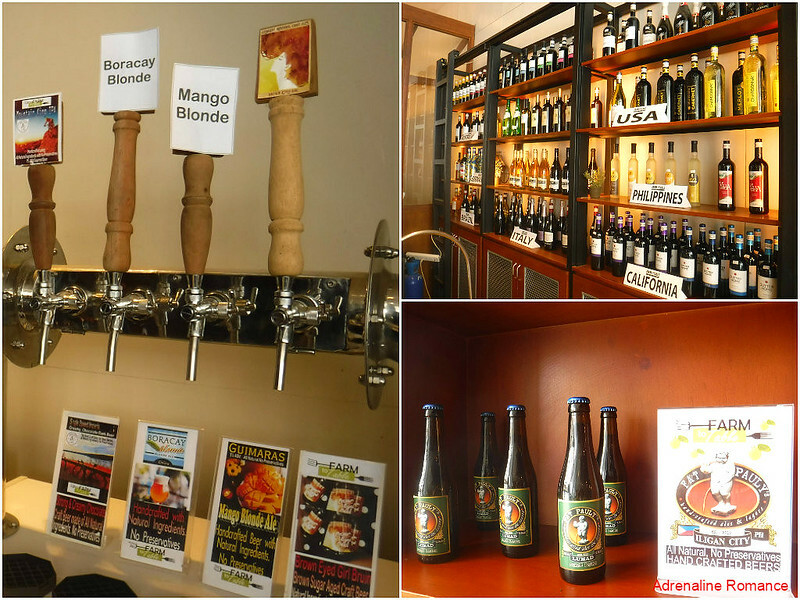 This is a great place to sample and appreciate the Philippines’ rich variety of alcoholic beverages. For the drinker, this is a perfect venue to try out unique drinks such as strawberry ale, mango beer, and more. They also serve gourmet wines imported from France, Italy, the United States, and other countries. Thank you very much, Greg, for taking good care of us during our Iloilo visit. Thank you for introducing us to your friends and colleagues as well as briefing us on your present and future projects. You are totally amazing and an asset to Megaworld. Thank you to Megaworld for the opportunity to experience Iloilo. Ilonggo cuisine is definitely an incomparable gastronomic experience. Their unique dishes are among those that totally awaken the senses, making you realize how beautiful, rich, and special our history and culture are. 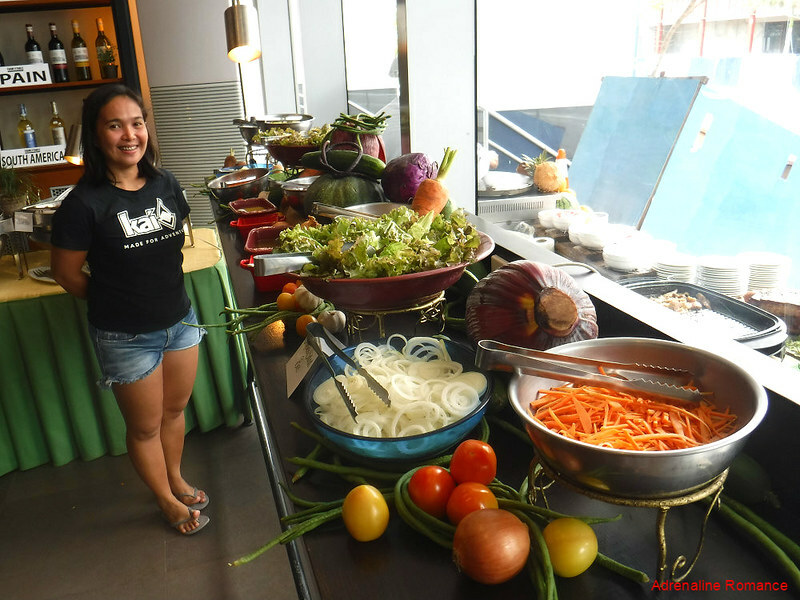 Visit Iloilo now and bring your taste buds to new heights. Ay ang galing naman. Food trip to the max. Oo nga, mukhang masasarap ang food. Wow, you guys have an awesome experience in Ilo-Ilo. I sincerely agree that Ilongos are really into a different kind of luscious food. Oh, you have just made me miss Ilo-Ilo. I’m sure I’ll be back soon. Thank you so much for sharing your food adventure.